Looking for a worry-free option for your child’s next birthday party, private party, or corporate event? Roller City has hosted over 40 years of memories! Parties can bring a cake, cupcakes, and ice cream, but no other food or drink is allowed (unless there are dietary needs). Each party will need to provide their own silverware, dishware, and cups. We will set aside reserved tables for your party. Reserved birthday parties are welcome to set-up 10 minutes before the session. Any additional participants, pitchers of pop, arcade tokens and pizza can be purchased the day of your party. If your birthday party is not reserved in advance, we cannot guarantee space for your group. 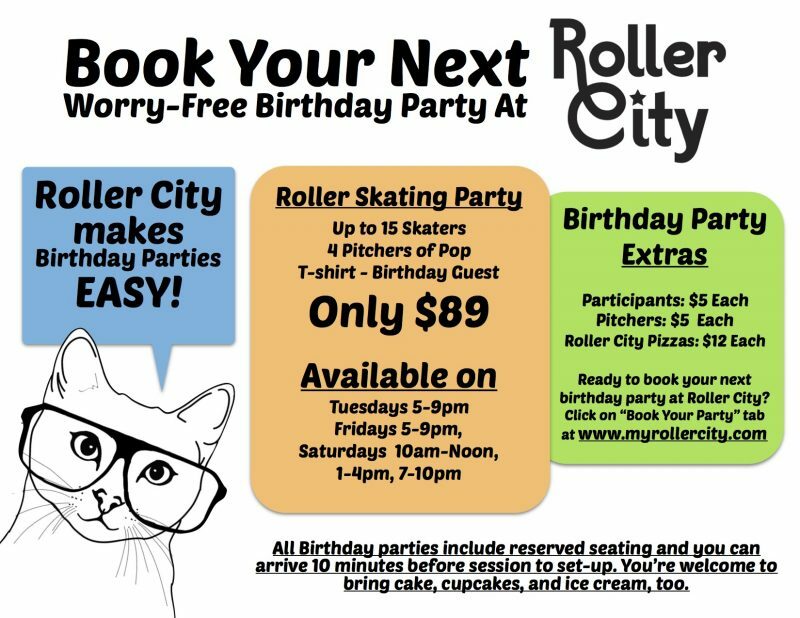 If you are hosting a smaller birthday party, you are welcome to pay admission for each skater, bring in presents and cake, and celebrate your birthday at Roller City. Ready to plan your next birthday party? Click here. Would you rather host a private party where you can have our entire facility to yourself? Check out our Private Event option below. 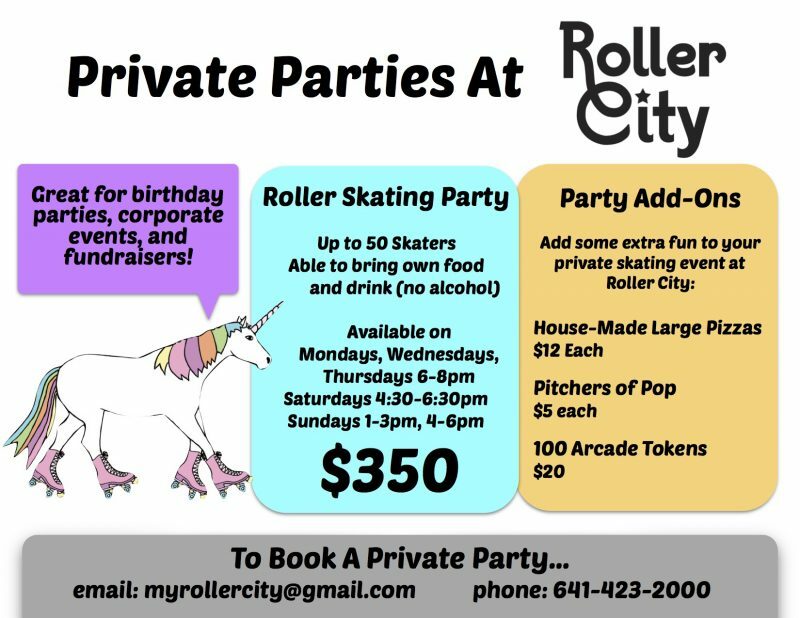 Want to schedule a skating event, corporate gathering, or dance at Roller City where you can have our entire facility to yourself? A private event at Roller City is ideal for everything from a church or school function to a company party, holiday celebration, or a number of other events. We require a two week advanced notice and 50% non-refundable deposit to reserve your private event. The deposit will go toward the total cost of your event. Private events are held outside of sessions open to the public. Ready to book a private party? Email us at myrollercity@gmail.com or call us at 641-423-2000 to check availability.